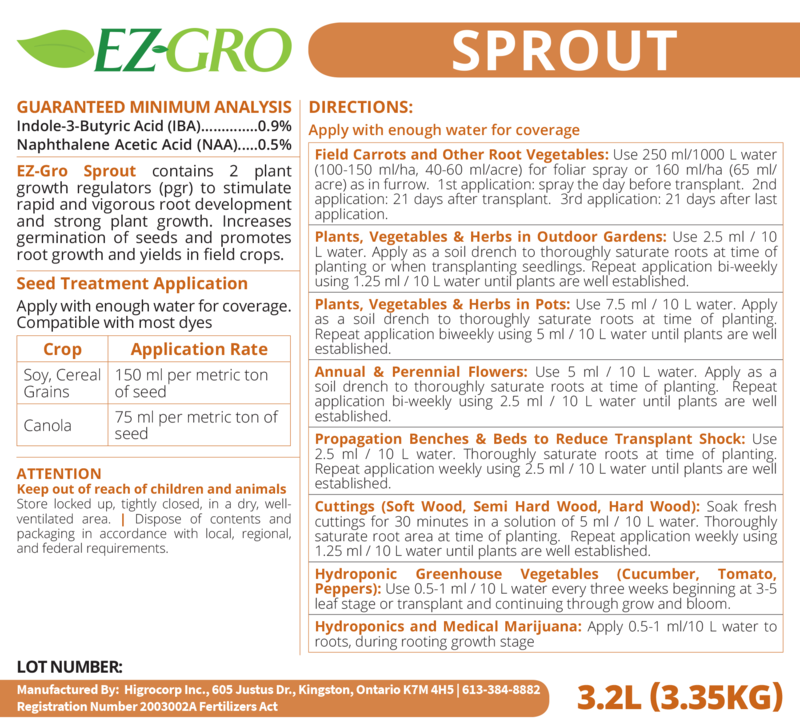 EZ-Gro Sprout contains 2 plant growth regulators to stimulate rapid and vigorous root development and strong plant growth. Increases germination of seeds and promotes root growth and yields in field crops. It contains Indole-3-butyric Acid (IBA) and Napthaleneacetic Acid (NAA). Together these compounds stimulate root formation and promote the development of adventitious roots. This can enhance the roots of crops and reduce transplant shock.